This dress is cut from a beautifully fluid fabric that drapes like a dream. 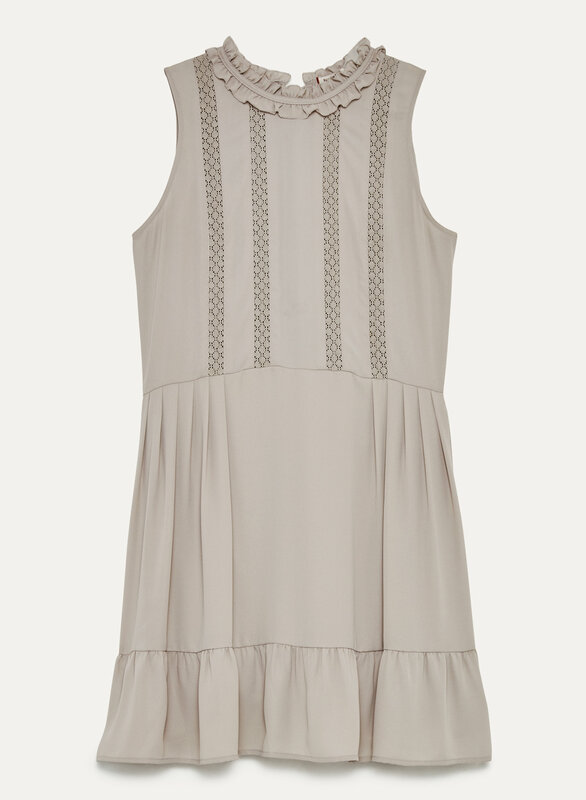 Considered details — delicate lace trim, a gathered neckline, perfectly placed pleats — add a dose of whimsy. I got a size larger than normal, fit oversized, perfect for thanksgiving.